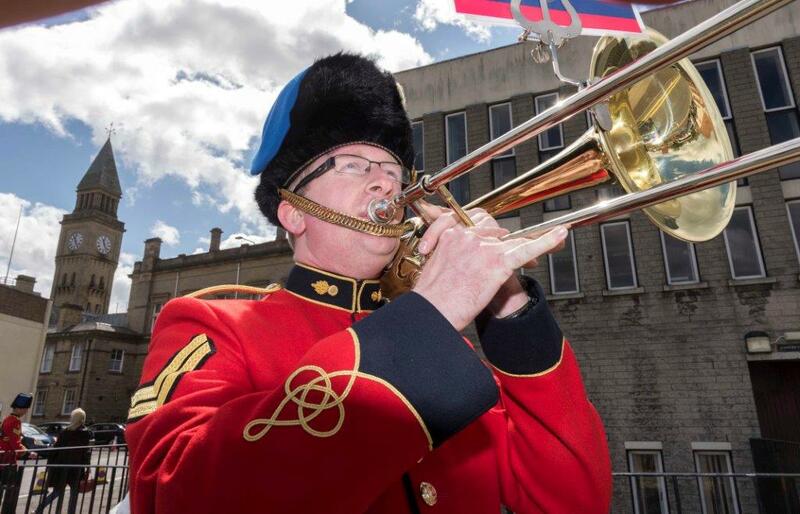 Local people are being urged to line the streets of Chorley on Saturday 22 July to watch soldiers from the Duke of Lancaster’s Regiment march through the town centre. The Regiment was awarded the Freedom of the Borough by Chorley Council in 2007. This ceremonial parade, organised by the Duke of Lancaster’s Regiment and Chorley Council and supported by Lancashire Police, will see the Regiment exercising their right to march through the streets. The day will begin with a service at St Laurence’s Church before 130 soldiers form up on St Thomas’s Square to begin their march at 12.30pm. The 2nd Battalion will be led by The Band of the Lancashire Artillery and will depart from St Thomas Road. Colonel of the Regiment, Brigadier Peter Rafferty, added: “We are delighted to exercise our Freedom of the Borough of Chorley. The Regiment has long and close associations with Chorley, which we cherish. It is therefore a great honour and privilege for us to exercise our Freedom by marching through the borough. The Regiment will march from St Thomas’s Road before turning right into Market Street, left into St George’s Street, left into Church Street, left into Chapel Street, right into New Market Street, left into High Street, left into Cleveland Street, right into Chapel Street and then right again back up Market Street. The parade will stop in front of the Town Hall where the Mayor of Chorley, Councillor Mark Perks, will inspect the front rank of soldiers. The march will then continue, turning left into Back Mount where the parade will fall out on Farrington Street car park. Anyone who is travelling in and around Chorley on Saturday 22 July is being advised that there will be some road closures in place for the Freedom of the Borough march; however, the majority of these will be quickly lifted once the soldiers have passed. Farrington Street car park will be closed to the public until approximately 4pm on the day.